HCM CITY — The HCM City Hát Bội Theatre is working on a new historical play called Lê Công Kỳ Án (Tales of Gia Định’s Commander) by Meritorious Artist and scriptwriter Hữu Danh that will be presented at the National Tuồng (Classical Drama) Festival 2018 in Quảng Ngãi Province in October. The 90-minute tragedy depicts the controversial life and death of Lê Văn Duyệt, a national hero who contributed to the growth of South Việt Nam in the 19th century. Duyệt was born in 1764 in Tiền Giang Province’s Cù Lao Hổ (now Hòa Khánh village). He began his career by supporting Emperor Gia Long (Nguyễn Phúc Ánh), founder of the Nguyễn Dynasty, when he was 17. Besides working to build dyke and irrigation systems, he was known for his military talent and fight against corrupt officials and sycophantic courtiers. Thanks to Duyệt’s management, Gia Định developed into a populous and prosperous area. Lê Công Kỳ Án focuses on the period between 1813 and 1820, when Duyệt was the commander of Gia Định Citadel, which included Biên Hòa City and present-day HCM City. Directed by People’s Artist Trần Ngọc Giàu and Nguyễn Hoàn, the play is staged by veteran artists Đông Hồ and Linh Hiền, who have worked with younger actors Kiều Mi, Thanh Bình and Bảo Châu on the production. The performance is part of a new drama project called Tôi Yêu Tuồng-Cải Lương (I Love Tuồng – Cải Lương), launched this year by HCM City Theatre Association in co-operation with local traditional theatres, including HCM City Hát Bội Theatre, one of the region’s leading State-owned theatres. The project offers historical shows at affordable prices, ranging from VNĐ50,000 (US$2.2) to VND100,000 ($4.4) a ticket, to attract audiences, particularly students and labourers. 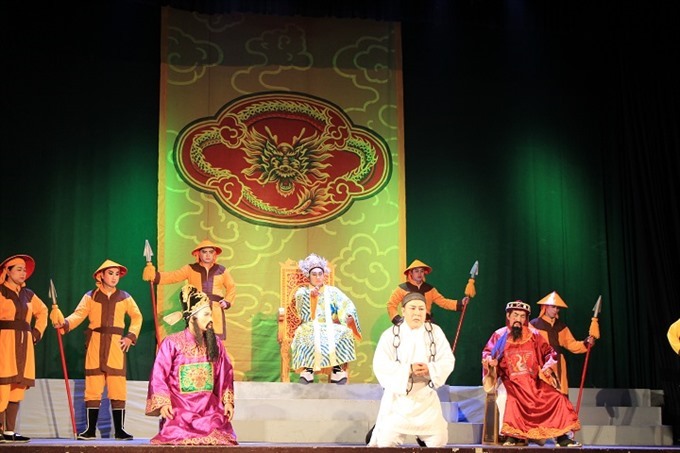 It has attracted tuồng and cải lương stars such as People’s Artist Kim Cương and Meritorious Artist Minh Vương, top talents who have developed traditional theatre for more than four decades. “We received more than VNĐ500 million ($21,500) from the city budget to renovate the theatre,” said Bình, adding that he and his colleagues had worked with several organisations and sponsors that invested in the theatre’s activities.